React is the top winner in the Trending Tech on Stack Overflow. It also scores high on several other categories including Top Paying Tech, Most Loved and Wanted Technologies. So without a doubt React is hot technology. 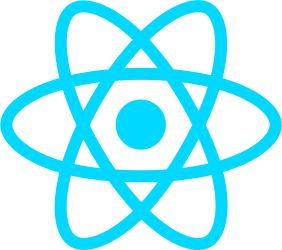 If you are a frontend developer, or want to become one, you are wise to learn about React. React is the user interface library build at Facebook to develop the Facebook website. Instead of keeping React internal Facebook decided to open source it. The result is that the whole world can enjoy React. Many companies like Airbnb, DropBox, Netflix and Uber do. The list of sites build with React is impressive. And now it is your turn to join that list. Most open source software innovates faster and has a better quality. Because React is open source you can fix issues yourself without waiting if you want to. React also has a large and active community of passionate developer around it. My name is Maurice de Beijer and I really love programming and teaching others how to program. Because I love to teach other developers. Maurice is a great instructor - very knowledgeable and enthusiastic. Very patient with all my questions! Excellent all round knowledge of subject matter. Maurice was able to demonstrate real world examples and it was evident he wasn't just dictating what he had read in books but speaking from the practical experience. I really liked how the course was organised and that Maurice showed us real world example, wrote code in front of us, and made the whole course really practical. Thank you, Maurice! I would be glad to be your student once again. Maurice is a good instructor - very knowledgeable and friendly. Maurice is really good and gives good demonstrations of the concepts being discussed. Subscribe to the React newsletter!